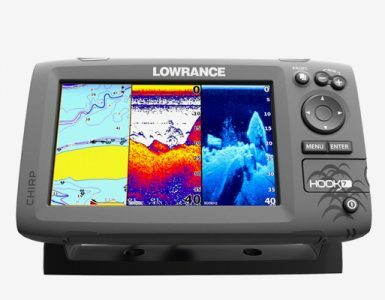 If you are a fishing enthusiast who’s looking to improve his or her fishing with a touch of technology, the Lowrance 000-11448-001 Elite-3X Fishfinder is an affordable option for you. Apart from having a small compact build it comes with broadband sounder sonar that makes it easy to identify bottom contours and various types of fish arches. It also has a water temperature sensor, and the broadband sonar sounder has an 83 or 200 KHZ dual frequency capability. What benefits do you get? Whether you are a professional fisherman or an amateur, the Elite 3x will revolutionize your experience. Its LED screen feature is very helpful as it provides a colored image making it very easy to detect and identify fish. It also makes it easier to navigate through shallow water as the sonar feature enables you to have a clear depiction of the bottom hardness as well as thermoclines and thus you do not damage your fishing vessel. If you fish for particular types of fish, the fish finder provides an elaborate display of fish arches that are quite distinct for every fish. Thus by using this product, not only do you have a visual of the fish but you can clearly differentiate them by their arches. 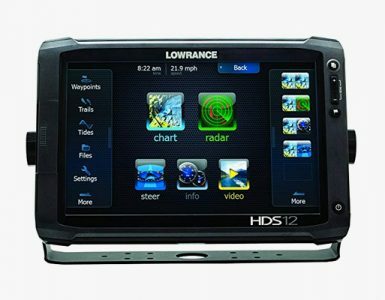 The Lowrance 000-11448-001 Elite 3X comes with a 320 x 240 LED screen display that provides a colored image that can be easily seen in bright sunlight. The display also provides a wide angle of view making it very efficient for wide spaces. The fish I.D feature provides icons in place of natural arches. The feature also includes other helpful options such as tracking and alarm. It has advanced Signal Processing (ASP) technology whereby you do not require any manual adjusting for clear fish visuals or bottom-hardness readings. The 80 or 200 KHz dual frequency allows the user to enjoy a maximized underwater view of under the boat. It has broadband sounder sonar that detects and identifies fish targets, thermoclines, structure details and bottom contours amongst others. Transducer location: Make sure it is installed in a position where it can receive an steady flow of clean water. Failure of these conditions and the transducer will not work as effectively as it should due to interference by factors such as motor vibrations. To enjoy continued usage of the Fishfinder, it is important to make sure it is well maintained. Its maintenance doesn’t demand much because all you need is to ensure the battery is in good condition. It is also important to ensure the transducer is placed well below the boat and the waters you intend to navigate do not have any floating objects that may damage it. The color LED display can be used for both daytime and nighttime making it the perfect fish finder for any time of day. The display provides different colors and readings for fish targets, bottom hardness, and thermoclines. Thus making it easier for the user to locate fish as well as navigate different water bodies. It also provides icons that make it easy to identify different fish. At depths of below 20 feet, the screen may display some dots. This is because the high-frequency vibrations from the motor at the upper water level, produces a lot of clutter on the screen making it impossible for the device to make any readings below 20 feet. Thus making it limited to water temperature and depths greater than 20 feet. 1) Q: How low is the transducer mounted? 2) Q: Does it include a battery? A: The battery is not included in the packaging, and thus it must be bought separately. 3) Q: Can you install a unit on a small vessel such as a kayak? 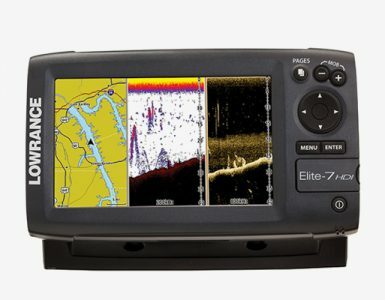 A: Yes, the fishfinder works well with small boats such as kayaks. Provided the transducer is placed correctly on the vessel. 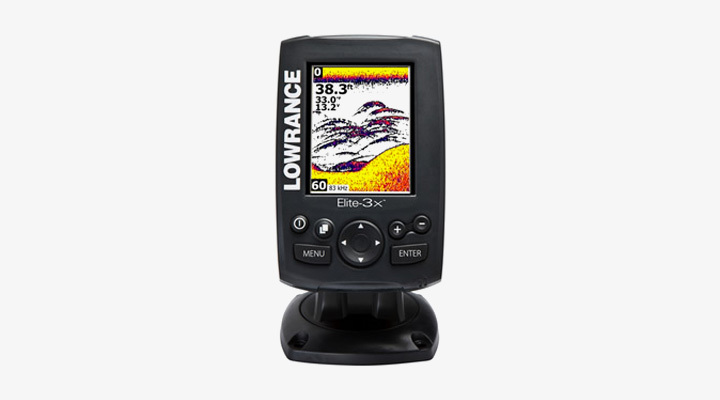 The Lowrance Elite 3X is not only affordable but performs relatively well compared to other more expensive fish finders. It encompasses a wide array of functions as well as features and due to its LED screen it can be used at any time of the day or night. Not forgetting it is useable on different fishing vessels including kayaks. With this in mind getting an Lowrance hook 3x will not only improve your catch but it will also enhance your fishing experience.